Aspire is proud to recognize Sue Wente as our December Shooting Star Award Winner! Over the past 4 years my mom has went through unfortunate health problems; several strokes, TIA’s, 2 brain surgeries and a heart surgery. My family tried to keep her at home as long as possible but unfortunately between rehab and appointments it was becoming less feasible. After a long discussion we decided to go to Manor Care (now Prairie Heights Health Care) for long term care. The transition was tough but she handled it well. With each surgery or stroke her short term memory and speech have degraded over time. Whenever I go and visit she will usually get days mixed up or remember events that happened but have the days mixed up. But one thing she always remembers is when Aspire goes and volunteers. She will show me the prized she wins at Bingo and tell me that my works was there. She is always glowing and happy about it. For that me and my family thank you. We also thank all of the people we support that go up there and volunteer. 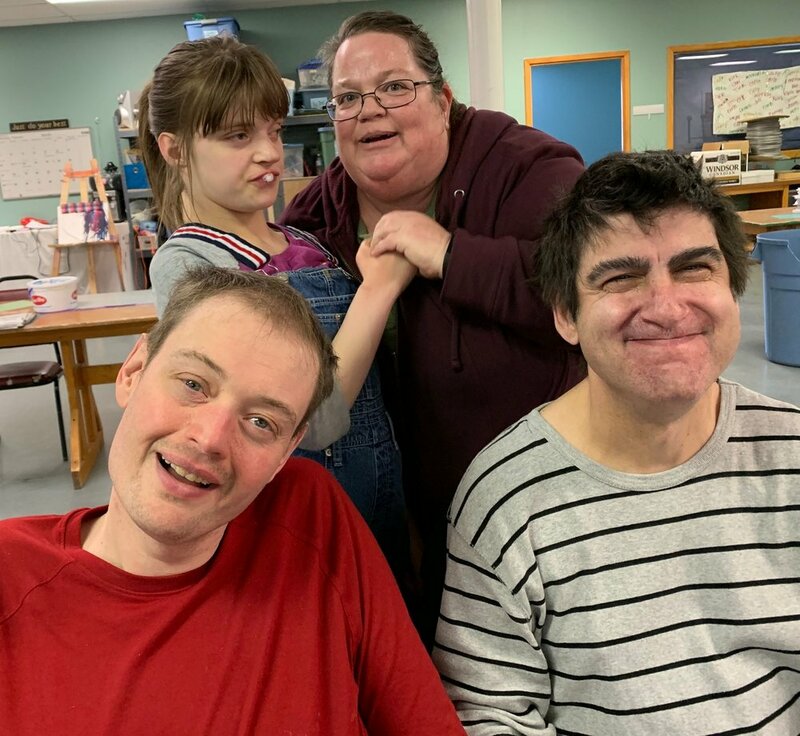 Staff and clients at Prairie Heights tell me about how much fun they have when Aspire volunteers.